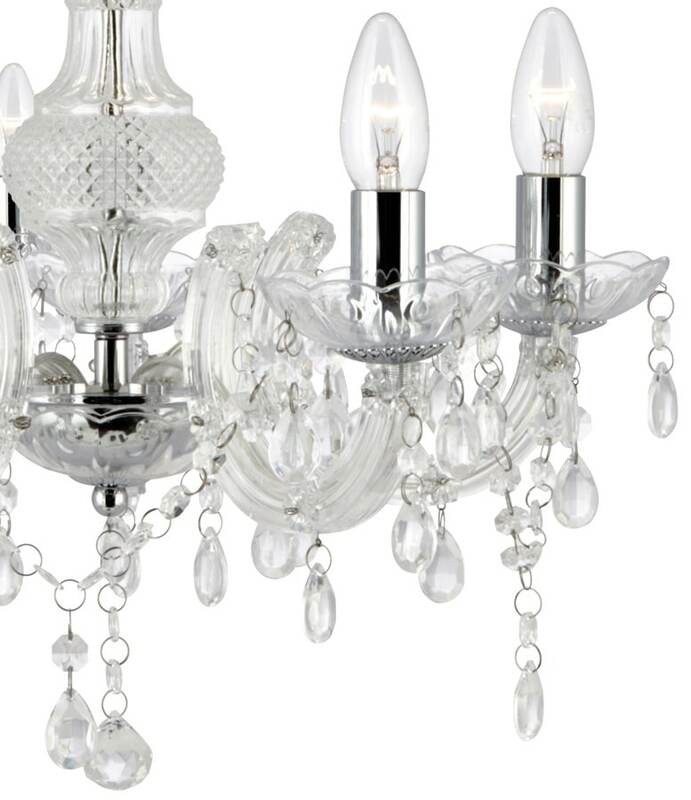 From the Marie Therese range of indoor lighting. 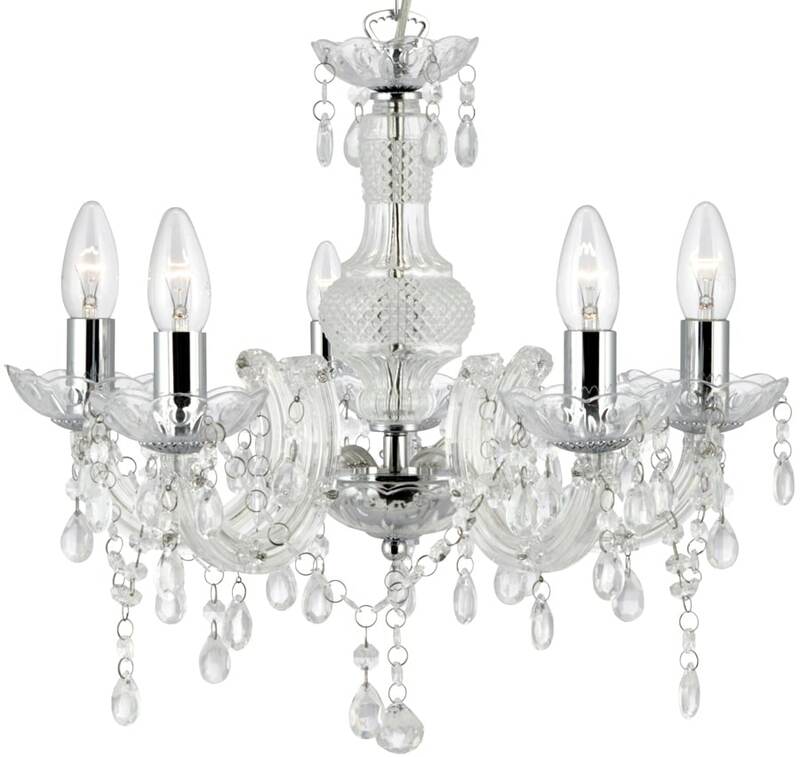 A highly ornate, clear acrylic and chrome five lamp chandelier adorned with droplets and including a height adjustment suspension chain. 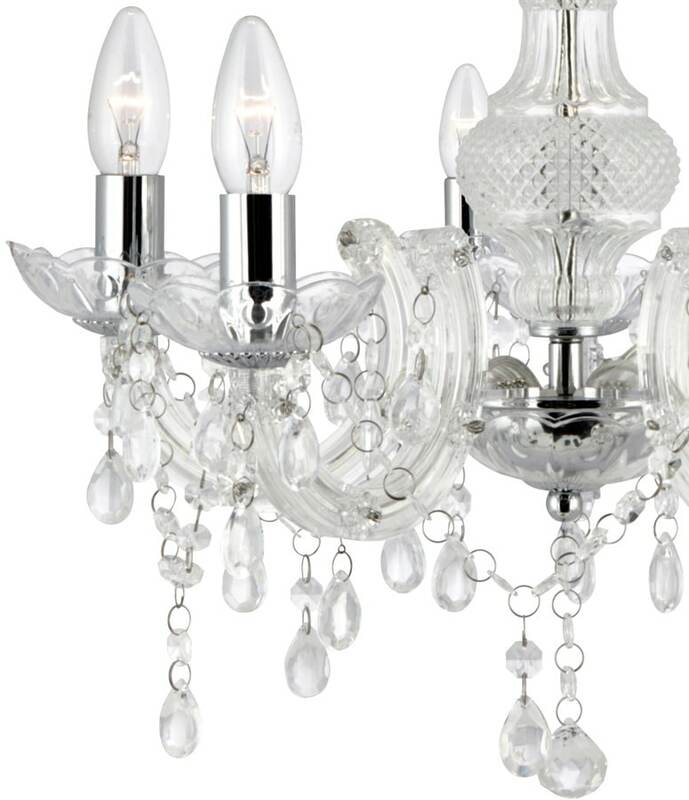 Height adjustable by removing one or more of the suspension chain links this gorgeous, dimmable light fitting would look great in either lounge or bedroom areas. Total height drop including suspension chain; 930mm.